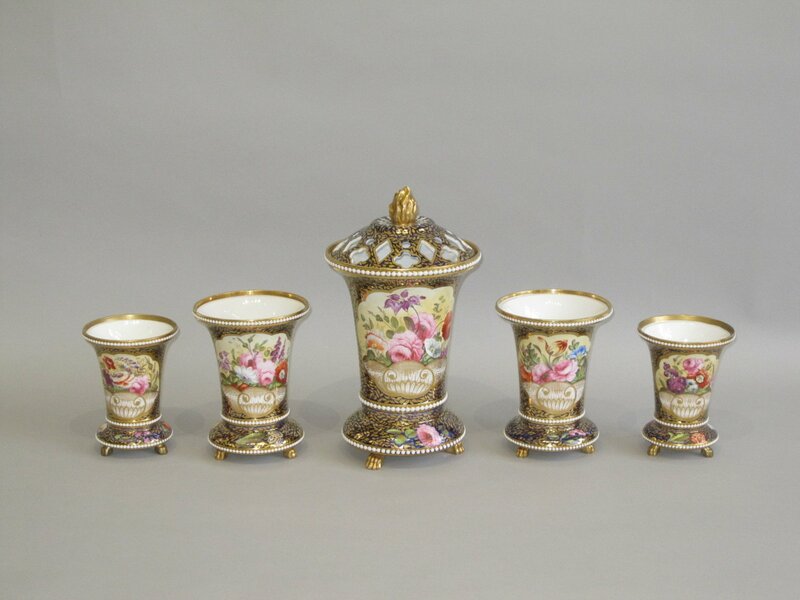 Of trumpet shape, each with white pearl beaded decoration, the three larger vases raised upon gilded lions paw feet. Richly decorated in pattern 2575 with finely painted flowers upon a yellow ground within gilt edged cartouches and reserved upon a dark blue ground with further painted single flowers and richly gilded with small leaves. The central & largest pot pourri vase with its pierced cover and surmounted with a gilded flame finial.